Talented women in the Cincinnati area will be prepared and empowered for higher leadership roles through the return of WE Lead, a 10-month executive leadership development experience for women offered by the Cincinnati Chamber of Commerce. Now in its 13th year, WE Lead is a 10-month executive leadership development program for "high-potential, goal oriented women who are actively preparing for the next level of their career." Participants are high achieving women who are being assigned increasing levels of responsibility within their organization and are on track for future advancement. Through a combination of professional development and executive coaching, WE Lead helps prepare female talent to move into higher leadership roles at the senior level. Awareness of professional/personal strengths and assets and how to leverage them. Awareness of obstacles to professional and personal growth and how to overcome them. 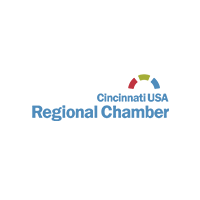 The Cincinnati Chamber of Commerce offers a number of programs aimed at helping women develop skills and connections within the larger business community, but the Chamber specifically designed the WE Lead curriculum for mid to upper-level female managers, business owners and professionals. The 10-month program runs from September of 2018 to June of 2019 and allows participants to discover and understand their strengths and communication styles, and learn the leadership skills and strategies necessary to become extraordinary leaders within their organization and the community. The program includes a kickoff reception, graduation ceremony, two-night retreat, five full-day sessions, four half day facilitated mastermind group coaching sessions, and two private sessions with a professional coach. Tuition is $3,700 for Chamber Members and $4,700 for Non-Members. That fee includes all meals, access to facilities, and materials. Partial scholarships may be available for those with financial need, and can be requested within the application. Payment plan options are also available. Applications for WE Lead Class 13 (2018-2019) are now open. Deadline to apply is May 25, 2018. A non-refundable application fee of $50.00 is due upon submission of your application. You can find out more about the application process for the WE Lead class on the Cincinnati Chamber's website.